Works as breakfast as well as dessert! On a sweet note, my grandmother’s recipe for Dutch Peach Cake is one of our favorites. 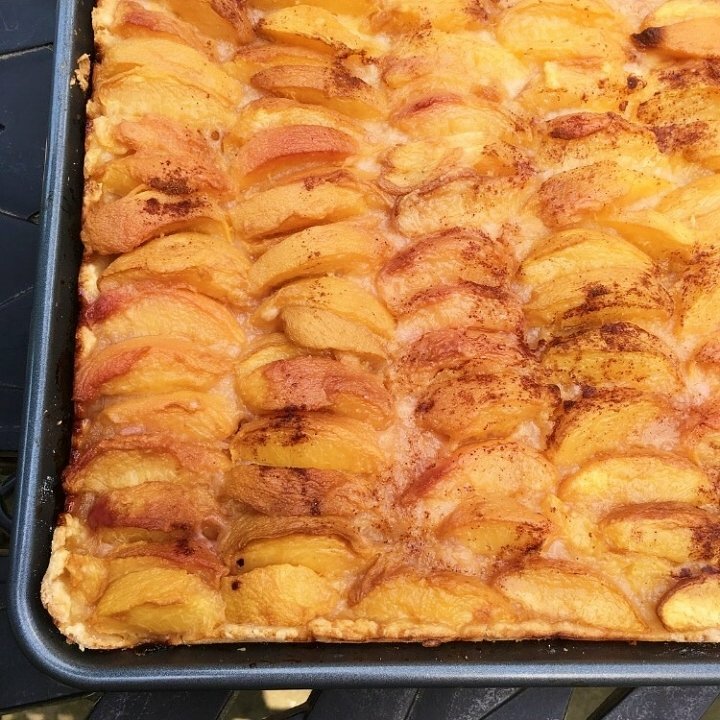 We make this cake with peaches in the summer, and it’s so good we make it with apples in the fall – any fruit would be great. The sweetness comes from the fruit, not the cake, so it’s important to use in-season, ripe fruit. Because it’s not overly sweet, it works as breakfast as well as dessert! Scroll down to see the recipe.